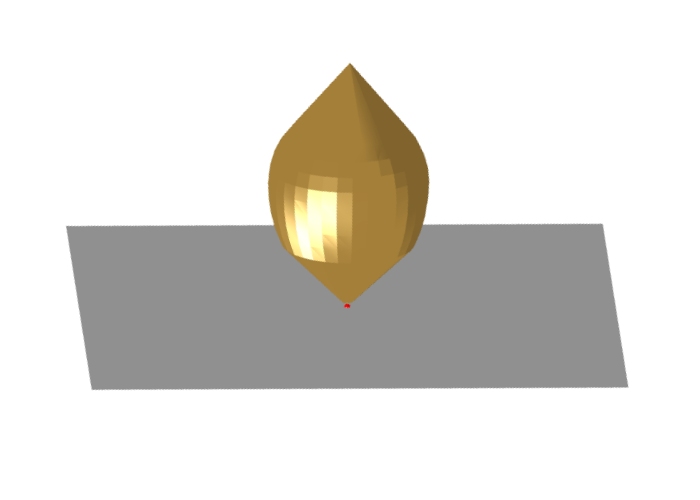 Image of the Shaped monocone antenna. 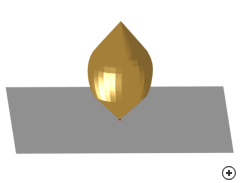 The Wideband Capped Monocone Antenna is a variation of the standard monocone where a cap-like structure has been placed on top of the conical base. This antenna provides ultra-wide impedance bandwidth and an omnidirectional radiation pattern. The feed is positioned between the truncated bottom cone section and the ground plane. Precise construction of the area near the feed is very important since this region determines the high frequency performance. The plots shown compare the performance a 50 Ω design on a 1λ by 1λ rectangular ground plane (where λ is wavelength at fmin) with the same design on an infinite ground. 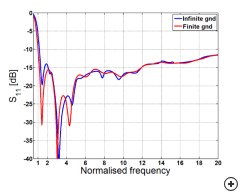 Frequency is normalised to fmin - the low end performance cut-off frequency. 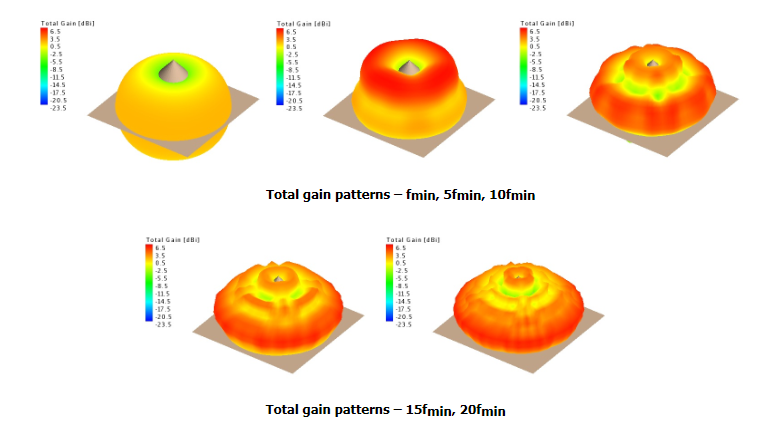 The addition of the cap results in a more stable radiation pattern across the band when compared with the standard Monocone. The last image illustrates this showing total gain patterns at various frequencies. 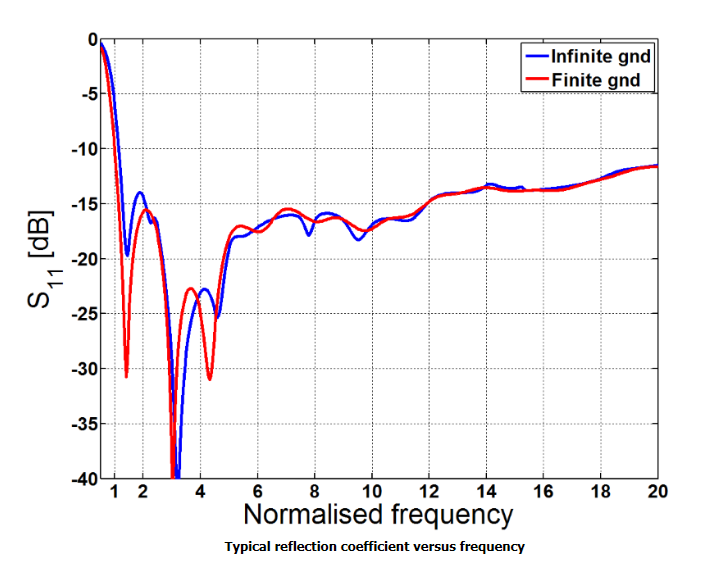 Typical S11 vs frequency for finiate and infinate ground planes. Total gain patterns vs frequency.